Kourtney Kardashian and Younes Bendjima are part of the Bey Hive for sure! 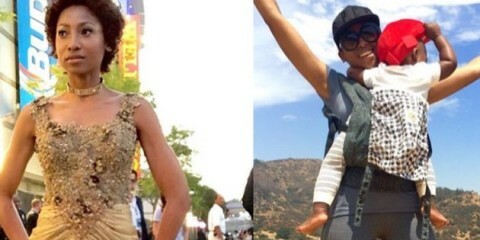 He propped up Kourt on his shoulders to take in Beyonce’s Coachella set and Kourt’s never looked happier! This may be their cutest photo yet! — Take a look! Couples who slay with the Bey Hive together, stay together! 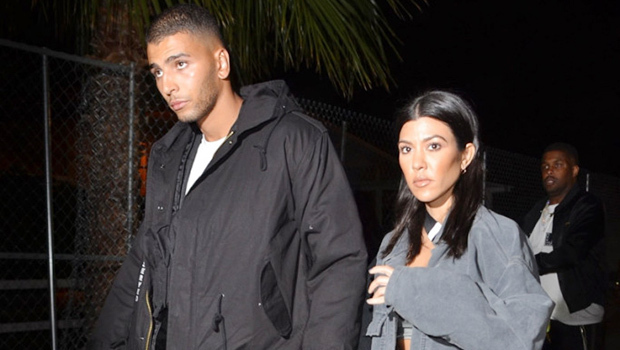 Kourtney Kardashian, 38, and Younes Bendjima, 24, took in Beyonce‘s history-making set at Coachella on Saturday, April 14, and they put on their own show for festival goers. Kourt sat on her boyfriend’s shoulders with the biggest smile on her face as she watched Bey, 36, take over Coachella. “When you’re 5’1” and Beyoncé comes on,” she captioned the cute photo as the couple stood in the massive crowd. Check out the PDA snap below! Kourt was still dressed in her Yeezy Season 7 crop top from earlier that day, and swapped out her matching spandex-like bottoms for a dark pair of pants. If you’ve never been to Coachella, it gets pretty breezy in the desert at night. Younes kept a poker face on as he held his woman high above the crowd. And, she must’ve had an epic view of Bey since Younes, after all, is a model. The couple — who’s been dating since late 2016 — have been running around Palm Spring and Indio California for the annual festival since April 13. Kourt and Younes even double-dated with her sis, Kylie Jenner, 20, and Travis Scott, 25, on April 13. The four were spotted on the Coachella grounds together, where they were all smiles entering the festival. Both Kylie and Kourt even showed off their amazing bodies in skin tight outfits and cropped two pieces. Younes’ post also came just days after he returned home from Turks and Caicos with Kourt. The two documented vacation in on Instagram, and there’s definitely no trouble in paradise going on here! How exciting! Check out the FULL list of nominations for the 2018 Billboard Music Awards, including Taylor Swift, Cardi B and more of your faves!